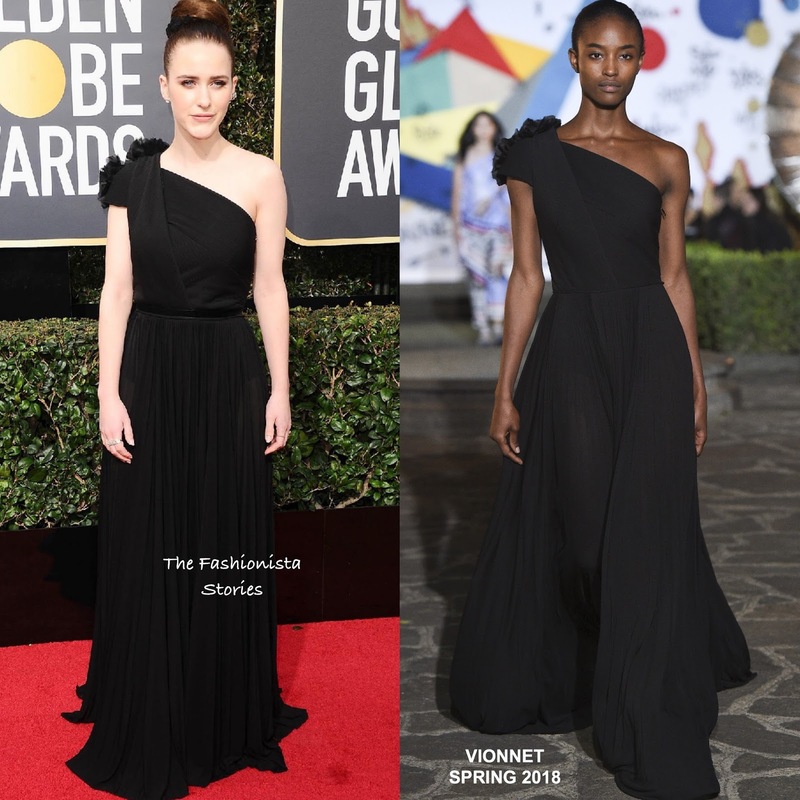 Rachel Bresnahan hit the red carpet in black of course for the 75th Golden Globe Awards this evening(January 7th) at The Beverly Hilton in Beverly Hills, CA. The 'House of Cards' actress wore a VIONNET SPRING 2018 black one-shoulder silk-chiffon floor length dress with a crossover, flower accented shoulder detail and a pleated skirt. I think think is a lovely gown on Rachel but I think she could have enhanced her overall look with a statement belt or jewelry. She finished up with a complimentary beauty look. What do you think of Rachel's look?